Alexander is best known for being a part of the comedy duo, Armstrong and Miller. Alexander is a presenter, comedian and actor. He was educated at Trinity College Cambridge where he read English. It was at the Cambridge Footlights where he met Ben Miller and formed the comedy duo Armstrong and Miller. Alexander has performed in several comedy roles including The Armstrong and Miller Show, the sitcom Beast, BBC Radio 4's Weak at the Top. One half of a comedy double act, Xander is the face of Pimm’s and a regular on HIGNFY. 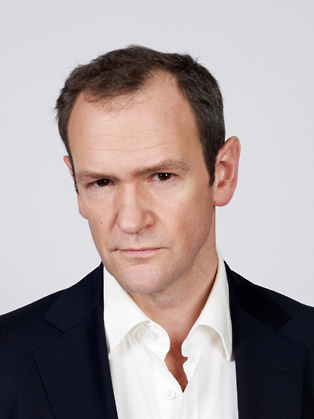 Since its beginning in 2009, Alexander has been the host of the BBC game show Pointless, alongside his former University friend, Richard Osman. The 100 Most Pointless Things in the World was published in October 2012. Also in 2012 he was the voice of Professor M for the animation breaks for the McLaren F1 team with the animations called Tooned which also featured the voices of Lewis Hamilton and Jenson Button broadcast on Sky Sports F1.